The Samdani Artist-Led Initiatives Forum is a new program committed to supporting the work of Bangladesh’s independently established and self-funded art collectives and initiatives. Eleven groups vital to the growth of Bangladesh's creative communities will participate in this new Forum, led by Diana Campbell Betancourt, Artistic Director of the Samdani Art Foundation, and assisted by Ruxmini Reckvana Q Choudhury, Assistant Curator at the Foundation. The Forum launched on April 13, 2017 at the Bangladesh Shilpakala Academy and will continue for the next three years. Each of the participating initiatives will remain members of the Forum and receive support from SAF until the 2020 Dhaka Art Summit. The work each of these initiatives undertakes to provide Bangladesh’s next generation of artists with opportunities is undisputed, yet many have limited resources, which reduces their marketing capacity and prevents them from connecting with a global audience. SAF is committed to supporting the work of Bangladesh’s contemporary artists, in part by increasing their international exposure. 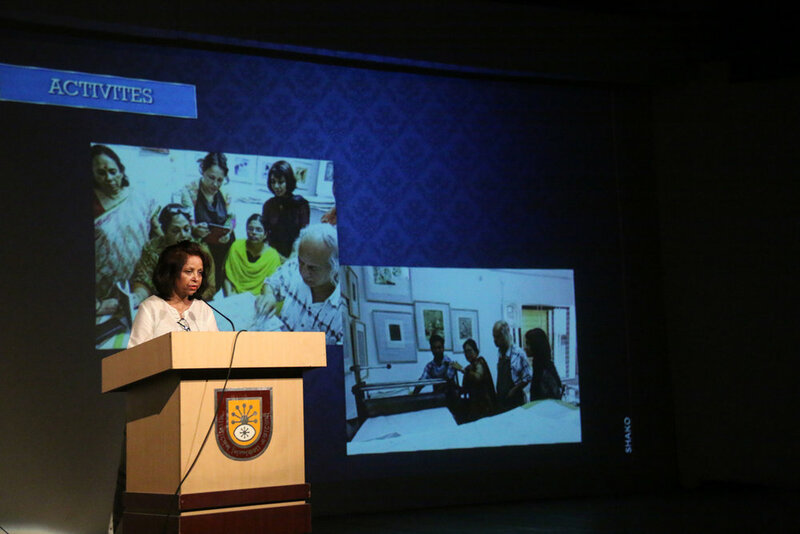 The Forum will support these initiatives’ ongoing efforts by helping each to continue to work locally, while building their profile internationally through SAF’s network and collaborators. An initiative born out of Dhaka’s Electronic Scene (DES), Akāliko was founded in 2012 by artists Khan Mohammad Faisal and Vru Patel, and later joined by Shoummo Saha and Jami Farooq. The group first aspired to connect Dhaka’s diverse community of bedroom electronic music producers, who at that time were working in solitude across the city. Since then, Akāliko has grown into its current identity as an independent record label with a DIY approach to sourcing new artists and helping other small record labels to grow their own identities. While electronic music is Akāliko's primary focus, the initiative also collaborates with non-musicians, including writers, choreographers/dancers, communication specialists, and psychologists, to produce workshops, music videos, and sound art projects. Based primarily in Dhaka, Artpro promotes the work of Bangladesh’s contemporary artists, while expanding the reach of their work to new audiences, both nationally and internationally. Founded by artists, Arpita Singha Lopa, Md. Zahid Hossain ‘Sagor’, Farah Naz Moon, Lutfun Nahar, Mahbubur Rahman, and Ashim Halder ‘Sagor’, each of who actively maintain their own practice, the group’s multi-disciplinary approach utilises each of the founding members individual expertise while rigorously following the group’s collaborative mission to create unique opportunities for visual artists, and most importantly, for the public to engage with their work. 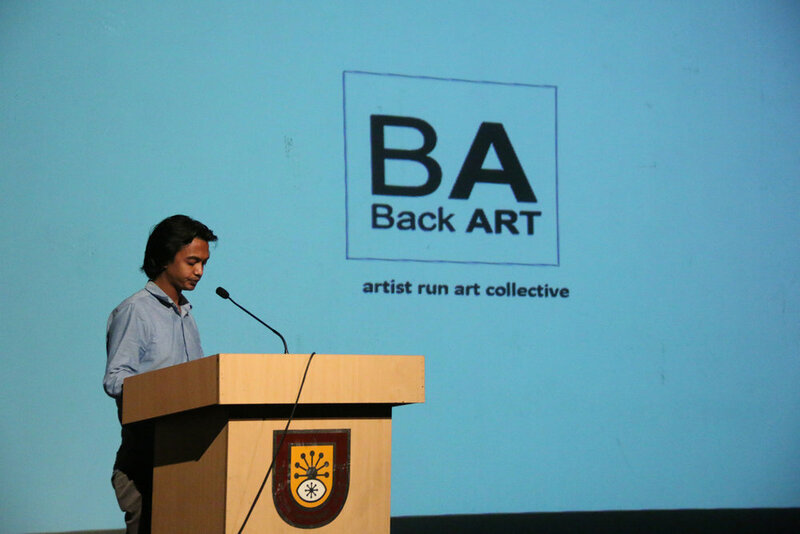 Finding it challenging to initiate contemporary art projects in Dhaka alone, BACK Art was formed as an endeavour to combine forces and develop activity which would open up the city’s art scene to provide emerging contemporary artists with opportunities to expand their practice and exhibit their work. Believing in the transformative power of art, the group promotes new languages for art within Bangladesh producing a variety of programmes from exhibitions, workshops, and most recently the international performance art festival, the Dhaka Live Art Biennale (D’Lab). Charupith was founded in 1985 by Hironmoy Chanda and Mahbubur Jamal Shamim with the ambition of increasing the social impact of art within their local community. Based in Jessore, a district in the south-western region of Bangladesh, Charupith is heavily involved in local social awareness campaigns. 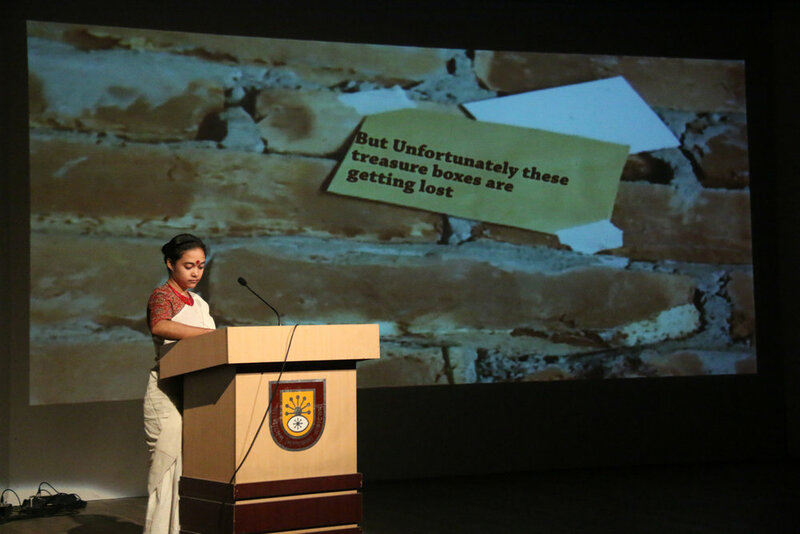 Addressing the loss of local industries specific to the region—such as sola or spongewood craft makers and date-palm jaggery production—the group actively runs the Charupith Library, Research Centre, and Institute of Fine Arts—courses include art, dress-making, Architecture, craft, and Art History—from where 15,000 students have graduated for free to date. The Gidree Bawlee Foundation of Arts was established in 2001. It is a non-profit multidisciplinary organisation with the aim of bridging cultural gaps and promoting the indigenous presence in Bangladesh’s cultural landscape. Predominantly working in Bangladesh’s northern Thakurgaon district, the group creates space for cultural and artistic exchange between artists and skilled crafts people through site-specific environmentally focused art projects produced in rural communities. Each culminates in a collaborative artwork created through lively interactions and the exchange of ideas. The Chittagong Hill Tracts, comprised of Rangamati, Khagrachari and Bandarban, are situated in Bangladesh’s Chittagong Division along the country’s south-eastern borders with India and Myanmar. An area with a rich culture and traditions, the Hill Artists’ Group was established here in 1992 to promote the region and its people by organising exhibitions, both nationally and internationally, of indigenous artists work while assisting the region’s novice artists to develop their careers. Based in the city of Chittagong, a major coastal seaport city in south-eastern Bangladesh, Jog Art Space was formed by Zahed Ali Chowdhury, Shaela Sharmin, Zihan Karim, and Syed Md. Shohrab Jahan as a platform for artists to create innovative and experimental work not encouraged at the nearby Institute of Fine Arts, Chittagong University. Through mentoring and exhibition opportunities, Jog has created a space for the Chittagong’s artists to continue their education. A newly formed organisation, Jhothashilpa is a centre in the Adabor district of Dhaka city for traditional and contemporary art practices where all art forms are equal and not measured in terms like traditional, urban, folk, or craft. Pairing traditional and contemporary art, Jhothashilpa encourages artists to work collaboratively to expand their practice and helps traditional practitioners like rickshaw painters to find new income streams to make a sustainable living through their practice, despite the decline in its traditional use. Shako was established by a group of women artists over 13 years ago as a social initiative to raise funds through the sale of art to help fellow artists, male or female, who were in need of medical treatment. Taking their social responsibilities seriously, the group works closely with organisations across Bangladesh that support drug addicts and acid victims by facilitating workshops to teach new skills to these recovering women and help them find alternative ways to generate a sustainable living with the skills they already have. The group does not exclude male artists from their exhibitions; they have, until recently, chosen not to take part. Shoni Mongol Adda is an informal discussion group that began meeting every Saturday (Shonibar) and Tuesday (Mongolbar) in a small artist-run cafe in the heart of Dhaka City during summer 2016. With each session organised by a core team, who prefer to remain nameless, the group covers a diverse range of topics, each session begins with a presentation from a nominated peer who discusses his or her ongoing work and ideas. A supportive space for people from varied professions, the group’s members range from artists and writers to cosmologists and police inspectors. Initiated as a pilot project in 2012, Uronto Artist Community was officially formed in 2013 by artist Sadya Mizan as a way of documenting disused or abandoned spaces in rural areas through art. Each of Uronto’s instalments begins as an open call for proposals with selected participants then attending a residential art exchange programme at the pre-selected space. Through Uronto’s a site-specific residential art exchange programme, selected participants are then challenged to work with unfamiliar mediums, re-animating the abandoned site and interacting with the local community for seven to nine days.